Let’s make Hungry Minds students ready for school! 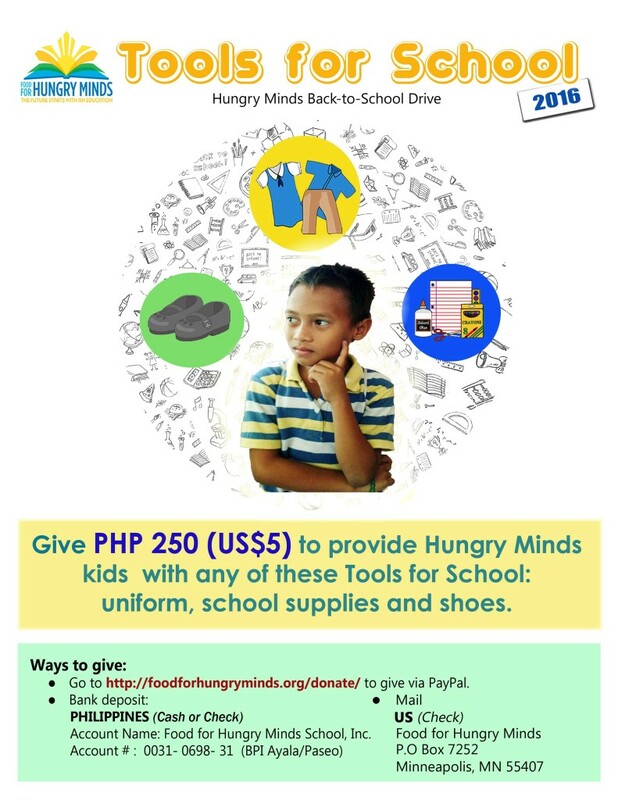 Have you given to the Hungry Minds back-to-school drive? Support Tools for School and help a child be ready for another year of education! PhP250 ($5) will provide a set of uniforms, shoes, or supplies!